Daniella (right) reviews an essay with Abigail (left), her speech therapist at Blythedale Children's Hospital. Can a nosebleed save a life? For Daniella and her family, it did. Born full term and leading a healthy, active life for her first eleven years, the young girl rarely needed a doctor. In fifth grade, Daniella began developing frequent nose bleeds, fatigue and dizziness that gradually worsened until her grandmother/guardian, Paula, sought medical help. After several blood transfusions and hospital stays, tests found polyps in Daniella’s colon. She was diagnosed with familial adenomatous polyposis, a genetic disorder that results in multiple benign and sometimes cancerous polyps. Additional genetic testing led to a diagnosis of HHT, or hereditary hemorrhagic telangiectasia, for Daniella. It is an inherited disease that leads to malformed blood vessels in multiple organs of the body and typically begins with nosebleeds during childhood. AVM, or arteriovenous malformations (an abnormal tangle of blood vessels that disrupts normal blood flow and oxygen circulation), were also found in her lungs and brain. In June 2016, just 10 days before a scheduled surgery to repair Daniella’s cerebral AVM, it ruptured. She was rushed to the hospital after suffering an intracranial hemorrhage and underwent a right hemicraniectomy to relieve the swelling in her skull. Daniella was admitted to the Traumatic Brain Injury (TBI) Unit at Blythedale Children’s Hospital one month later, unable to sit up, walk, talk, swallow and dependent on a feeding tube. 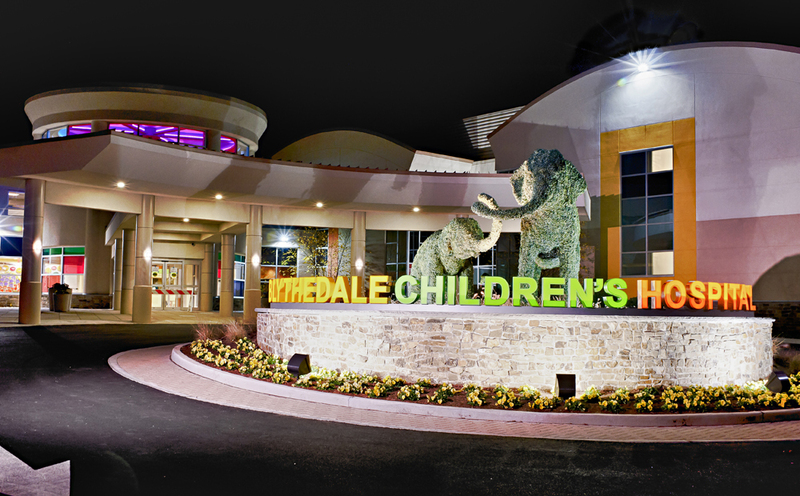 Blythedale’s interdisciplinary team provided expert management of her complex medical issues, as well as intensive occupational, physical, speech, and feeding therapies, plus caregiver education and discharge planning. Daniella remained optimistic as she made great progress in relearning how to walk, talk, swallow, eat, drink and perform daily living activities - like dressing herself and brushing her teeth and hair, - all while battling back from the various cognitive deficits she faced due to her brain injury. At the end of August 2016, she was strong enough to be discharged from Blythedale’s inpatient unit and return home. Daniella transitioned to Blythedale’s Day Hospital Program, starting in September, to continue her rehabilitation, as well as her education at the Hospital’s on-site Mt. Pleasant Blythedale School. Daniella continued to push herself with the guidance of her occupational and speech therapists, who focused on improving her attention span, memory, problem-solving abilities, cognitive flexibility and planning skills. Daniella made rapid progress, implementing tools such as checklists, cell phone alarms and recording apps to add information in a date book. Each new strategy helped Daniella stay organized and on track with her academic demands. “Memory (improvement) was our biggest goal with her and these strategies helped, “said Abigail Crane, Daniela’s Speech Language Pathologist. “We worked hard and she built the skills she needs to be an independent, confident young woman that can function to her fullest ability in the world. In April 2018, Daniella’s recuperation at Blythedale was complete. She was discharged from the Day Hospital Program and returned to her community school. “It’s hard to see her go, but it’s really great to see that she no longer needs us,” said Dr. Didie. Now 15-year-old Daniella is excited about the new dawn on her horizon. After her discharge, Daniella took her story of hope and healing to Michigan where she was invited to speak to hundreds of people at the “Cure HHT 6th annual Night of Hope”, a gala fundraiser to to raise awareness of the genetic disorder.